When Nintendo announced its plans to get into the world of mobile gaming, investors, fans, and critics alike were all delighted by the news. For years, the company’s shareholders had pushed and pushed for it to enter the mobile gaming business, saying that it could be incredibly lucrative. Mobile gaming revenue continues to grow, having generated $70 billion in consumer spending last year. More and more players choose to play games on iOS and Android devices than on PC and traditional games consoles – like those that Nintendo creates for the Nintendo Switch and the Nintendo 3DS. Not only does mobile gaming represent a real opportunity for Nintendo to make money, but it could also provide a new way for mobile players to learn about Nintendo’s characters and worlds, encouraging them to purchase Nintendo products later down the line. After much stalling, Nintendo finally entered the mobile gaming business in 2016. Only, things haven’t quite gone to plan for the world-renowned game developer. What is it that’s holding Nintendo back from mobile gaming success? It was only in March 2015 that Nintendo announced that it had partnered with mobile game publisher DeNA to release several mobile games. In a press release, Nintendo stated that “‘The alliance is intended to complement Nintendo’s dedicated video game systems business and extend Nintendo’s reach into the vast market of smart device users worldwide.” Nintendo had long resisted calls for it to get into mobile games and somewhat embarrassingly, mobile game publisher GungHo was valued higher than Nintendo, something which drew ire from Nintendo’s shareholders. In an E3 2013 interview, late Nintendo president Satoru Iwata had even suggested that Nintendo’s decision not to enter the smartphone business could be the thing that makes the company a continued success. However, continued poor sales of its home console, 2012’s Wii U and waning popularity of the Nintendo 3DS seem to have forced Nintendo’s hand. As such, the company has now released a handful of mobile games including Miitomo, Super Mario Run, Fire Emblem Heroes, and Animal Crossing: Pocket Camp. Miitomo was created as a social gameplay app where you could design your own character called a Mii, visit your friend’s own Mii characters and ask them questions, unlock new clothing based on popular Nintendo characters, and take part in short mini-games. Although there was huge interest surrounding the title when it launched in March 2016, this soon waned when players realized that there just wasn’t enough to keep them occupied. The servers will be shut down in May 2018 according to official announcements. Animal Crossing: Pocket Camp, Nintendo’s latest mobile game, was released in November 2017 and allows players to run their own campsites. Players can go fishing, they can catch bugs, they can pick fruit, collect seashells, talk to the animal visitors of their campsite, complete quests given by these animals, craft decorations, design their campsites, customize their character – and most recently Nintendo even introduced gardening gameplay. But even with all of these gameplay features, Animal Crossing: Pocket Camp just hasn’t been able to capture fans’ interest like the main series entries do. Many reviewers and players, including supermodel Chrissy Teigen, have chalked this down to the game’s “lack of charisma”. Pocket Camp is a cold mobile spin-off that feels just like a mobile spin-off and seems to be missing the effort and wonder that the main games of the franchise offer. Super Mario Run, meanwhile, seems to have been let down by its business model as it requires players to pay $10 to gain access to all of the game’s features. This is the business model that Nintendo prefers for its mobile games but it isn’t the free-to-play model that mobile gamers are used to, in which all features are available to all players, but microtransactions allow players to acquire items and capabilities which would take a significant lot of grinding to acquire otherwise. This is consequently why Fire Emblem Heroes, a lower profile Nintendo mobile game that is free to play and supported by microtransactions, has been far more successful. What Makes a Successful Mobile Game? Nintendo’s disappointing performance in the mobile games sector seems to come down to the company’s lack of understanding of what makes mobile games successful, and the company would be well served by looking at existing titles. Players enjoy games that let them pay and play how they want and to be rewarded appropriately. Temple Run 2 is an endless runner game that lets players play as much as they want for as long as their skills allow and is supported by the ads that players can view to receive extra gameplay bonuses. In a similar approach, slots games allow both free-play modes and real-play paid modes, so that players can get familiar with the titles before choosing to spend money on them. Popular trivia game app HQ Trivia also lets players participate in rounds for free, but by answering questions successfully they can also win money. Like Temple Run 2, the Word Cookies word puzzle game lets players view ads for bonuses such as extra coins. Nintendo games like Super Mario Run, meanwhile, offer bare-bones gameplay that doesn’t give players much of a chance to figure out whether they’d enjoy the full game before asking them to pay to unlock the full title. Players also enjoy games that can be played in short bursts or include levels and stages – of which you can play as many or as few you want in one session. Take Candy Crush Saga as an example. Each level includes a set objective e.g. racking up a certain amount of points or clearing certain blocks from the board, and this means that it can be played in five-minute breaks when you don’t have much time but you still want to enjoy some mobile gaming fun. This is one such reason why Fire Emblem Heroes, a game with stages that require strategy and tactics, are succeeding where Animal Crossing: Pocket Camp, which offers set gameplay and no difference in level objective, have not. Mobile gamers also enjoy the social aspect of their games. Pokemon GO technically isn’t a Nintendo game (it was created by Niantic in collaboration with The Pokemon Company) but the game has succeeded because players love to talk about it. Pokemon GO’s Raid gameplay gets players working together, figuring out a strategy to beat a tough character. Miitomo never inspired that same level of social interaction, despite being a social game sort of app. There was no bonus for working together, nor did it inspire players to talk to their friends about it. 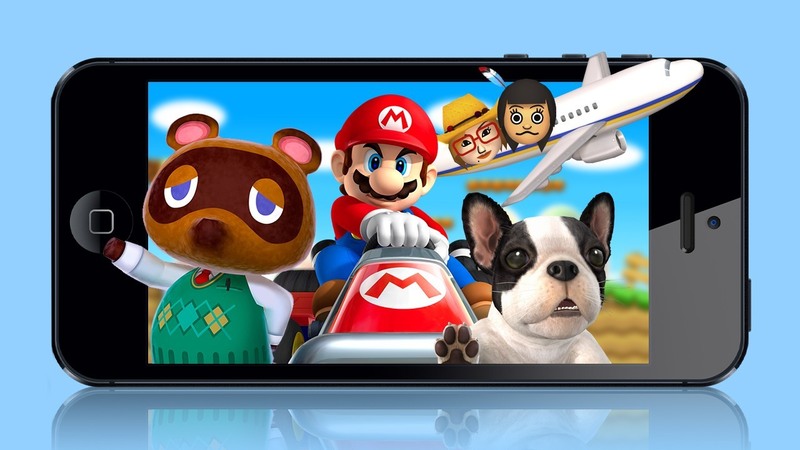 Nintendo does have plenty of time to make a splash in the mobile games industry, however. For instance, the company recently announced a mobile Mario Kart spin-off called Mario Kart Tour and it is also reportedly working on a mobile game spin-off of The Legend of Zelda franchise. So despite Nintendo mobile games having disappointed so far, there is ample opportunity for the company to take inspiration from other mobile games and to look at top industry talent to help its future mobile game releases.